With the GT1 picture still very foggy it’s a delight to reveal that a GT2 class Corvette is in build for the 2007 ALMS season. 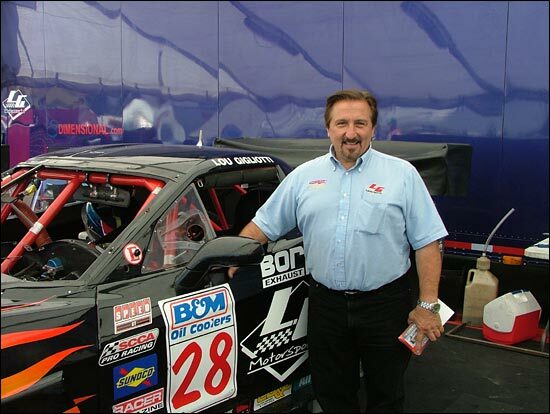 Speed World GT Challenge frontrunner Lou Gigliotti (below) revealed this morning, at Laguna Seca, that his LG Motorsports team is building a car up from a Corvette Z06 road car for a driver “new to the Series” with the possibility of a second car for Gigliotti himself to follow. In other GT2 news, the long promised Renntech Mercedes effort is still very much alive. Strong paddock sources are talking of a two car effort in time for Sebring. The ALMS has real momentum at the moment.